This utopian idea has been gestating in my head for some time. Now it looks like the Zeitgeist is opening up for it to emerge. Item: an Oregon state legislator, Mitch Greenlick, has introduced a bill to make tobacco a prescription drug, and to criminalize off-prescription use. Greenlick is chair of the Oregon House Committee on Public Health and the former head of the Kaiser HMO in Portland. Greenlick doesn’t expect his bill to pass, but hopes to raise public awareness that tobacco is more addictive than heroin, is the major killer drug, and should be taxed much more heavily. Item: the government of Iceland is raising tobacco taxes stepwise by ten per cent a year, with the ultimate goal of making it a prescription-only drug, same as Greenlick’s bill. Item: Columnist Bill Tieleman of The Tyee (Vancouver BC) thinks medicalizing tobacco is an idea whose time has come. And then of course there’s the opening of marijuana markets in Colorado and, soon, Washington state. 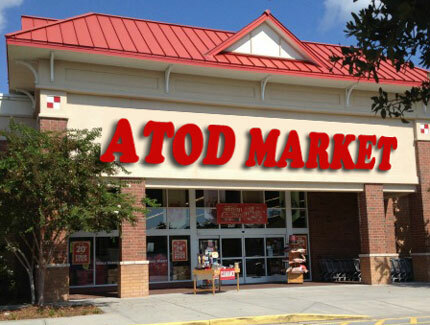 So, here’s my proposed friendly amendment: the ATOD market. ATOD, as every addiction treatment staffer knows, stands for Alcohol, Tobacco, and Other Drugs. The ATOD market would be a store where an adult could legally purchase alcohol, tobacco, and every other addictive drug, including marijuana, heroin, cocaine, methamphetamine, ecstasy, crack… you name it. It would be the only place where these drugs could be legally purchased. You’d have to register with the store network, and your purchases would be tracked so that if you were exceeding a certain quantity you’d be alerted to get a medical checkup and steered to addiction treatment. Boring, I know. Outrageous probably to blowhards like Rush Limbaugh, who’d like the world to forget his own drug addiction history. But it’s (a) a free market solution (horrors!) and (b) it’s consistent with the pharmacology of the drugs — they’re all addictive and should be treated the same way. It’s far from a perfect solution, but it’s a long shot better than the horrible and hypocritical mess called “drug policy” that we have at present. It might also drive the international drug cartels off the face of the earth. Oh, and for a really far-out proposal, how about we eliminate the major everyday sources of stress and anxiety that drive millions of people to seek quick relief via chemistry. If we get rid of gross disparities in wealth and income, open up jobs that pay enough for reasonable survival to everyone, banish on-the-job boss tyrannies, treat women and minorities fairly, provide single-payer healthcare for all, … (oh, I’m really dreaming here!) …if we did all that, people would have no interest in chemical quick fixes, and the ATOD markets would go out of business for lack of customers. What have I been smoking, to think such thoughts? Nothing but the Pacific Coast air. I’m clean and sober 21 years plus, and I don’t intend to ever put anything in the ATOD category into my body ever again. But that’s just me. Martin, you are too cool! The older you is even more thoughtful than that younger one, but you haven’t lost your edge at all.